As you can see, this blog has been pretty quiet in the last year or two but please take some time to look around - there are nearly five years of daily shots of Sharon, as well as some from Millerton, Cornwall, and surrounding towns. 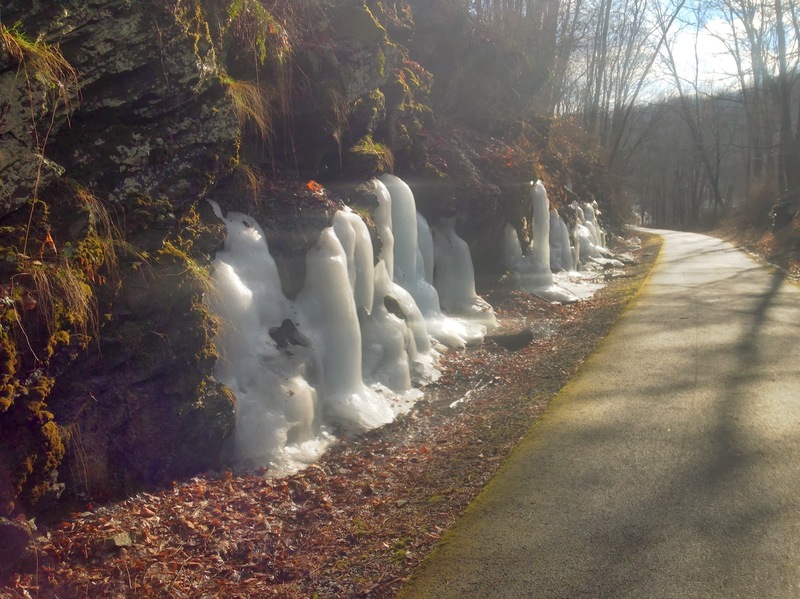 Frozen waterfalls on the rail trail... Let it go! Everything is ghostly white today. fill the truck, a photo by jahansell on Flickr. It's not too late to add your contribution to the food being collected to feed hungry families. caro caffe, a photo by jahansell on Flickr. A belated welcome to Carol and her delicious gourmet pizzas. It's so nice to have her right here in Sharon. We used to go to her Cafe Lally 12 or 13 years ago in West Cornwall and have missed her food since then! bridge, a photo by jahansell on Flickr. My goodness I live in a pretty place. 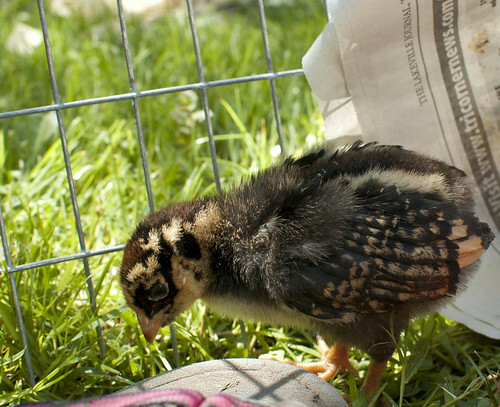 I welcome all my readers to visit my new blog, Sharon CT Daily Chicken, at www.peepcluck.blogspot.com. The "Daily" part of the name might be a little hyperbole, but so far I have a lot to say about the new members of our family! Oh, and this is Shayla....I think. It might be Lilac. But no, I'm pretty sure it's Shayla. estate osborn, a photo by jahansell on Flickr. Off Taconic Road in Salisbury, a fine farm field. A quick post about my favorite annual Sharon events, the Sharon Classic Road Race, which benefits Sharon Day Care. Festive, fun, a killer difficult run (for me, anyway) and a day everyone gets together. The gentleman in the green sweatshirt was tickled that the chef didn't know he was being photographed, but I'm not sure he realized he'd be in the shot too! statue, a photo by jahansell on Flickr. This fine looking feline was on display at the student art show last week at the Interlaken Inn - students from every school were selected to show their work. There is a lot of talent in these Litchfield Hills! forgetmenots, a photo by jahansell on Flickr. Forest glade... I think I first learned that phrase from the book "Bambi. " No deer nor hunters here now. I think these are forget-me-nots. They look magical! river, a photo by jahansell on Flickr. I'd never been to Marist College campus before but went to a New York State Regional Economic Development Council meeting at the Cornell Boathouse on the campus today. What a pretty spot. I think that's the Walkway over the Hudson, yes? Must walk there soon! miles, a photo by jahansell on Flickr. curled, a photo by jahansell on Flickr. The garden in spring is full of strange and interesting shapes. bluebellsinsnow, a photo by jahansell on Flickr. I think I like this one better than yesterday's. drop on the bluebell, a photo by jahansell on Flickr. 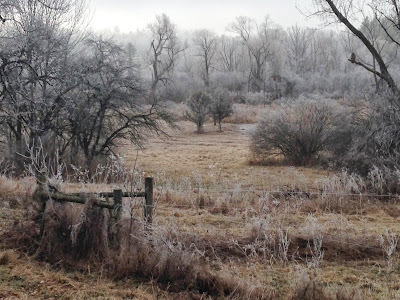 The last time I took a picture like this (the last time we had snow just at this time of year) was in April 2006, just days after I started this blog. How the world of digital photography has changed since then - now everyone has a Holga or a Lomo in their pocket! The Millerton Farmers Market has moved indoors to Gilmor Glass once again. What a lovely spot to buy your winter veggies! north main, a photo by jahansell on Flickr. This is still the scene in front of my house. When those limbs hit those wires, we saw a blue flash, then a red flash, then total darkness. The firetrucks came quickly to take care of the live downed wires - thanks, guys! library, a photo by jahansell on Flickr. After the historic SnowTober, I walked around the green and shot a few downed limbs. The worst of it was probably the schoolbus with a tree on top of it on Route 4, but I didn't get over there to see it. surviving the storm 1, a photo by jahansell on Flickr. Lucky girls slept in the only warm room in the house - in front of that toasty fire. surviving the storm 2, a photo by jahansell on Flickr. How did we get through all those days without power? Duchess knows. people watching, a photo by jahansell on Flickr. The new Alpaca shop in Millerton had some special guests during Fall for Art - they seemed to enjoy the unusual sights and sounds of the day. cornstalks, a photo by jahansell on Flickr. The cornfields are only green from mid-June through late September. The other three quarters of the year they look more like this - beautiful in their own way.